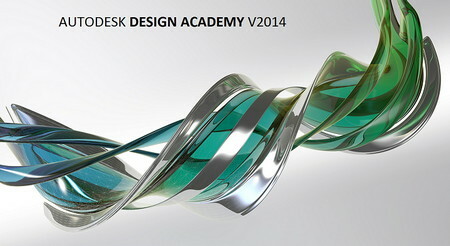 AutodeskÂ® Design Academy offers secondary educators the right toolset to engage students in science, technology, engineering, art, and math (STEAM). The comprehensive software suite's design, visualization, and simulation capabilities enable students to easily move between 2D and 3D design environments and fully experience their creative ideas digitally. Supports creativity and the teaching of critical-thinking and problem-solving skills through the use of the design thinking process, and 2D and 3D software tools. Helps students see the dynamic connection between science, math, art, and technology, preparing them for college and careers in architecture, engineering, and design. Supported by the Autodesk Digital STEAM Workshop, which features online learning content that offers educators a new way of teaching technology. Awarded the ISTE Seal of Alignment for supporting implementation of ISTE's National Educational Technology Standards for Students (NETS.S), the workshop introduces students to industry projects through real-time 3D, storytelling, and short, easy-to-follow videos. Unpack, TRLmount TRLwith TRLD-Tools TRL TRLinstall.